The Primitive Methodists built a chapel at Coniston in 1872; Colin Dews tells us that the architect was FN Penigell. 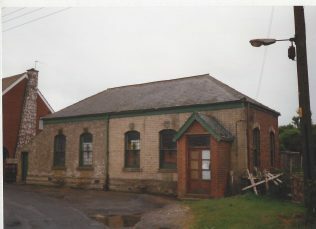 It was extended with a school room in 1893, closed in 1991 and disused in 1995. There are three foundation stones set into the wall; only that nearest the entrance remains legible: ‘Memorial Stone Laid By Mrs. Geo. Hodge August 14th 1872’.